The field of archaeoastronomy is evolving say researchers seeking a closer relationship between astronomy and merging of astronomical techniques and archaeology. The merging of astronomical techniques with the archaeological study of ancient man-made features in the landscape could prove Neolithic and Bronze Age people were acute astronomical observers, according to researchers. 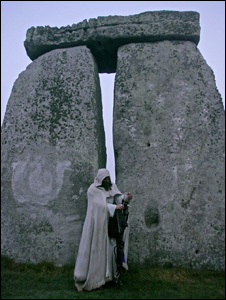 Dubbed archaeoastronomy, the developing and sometimes maligned field takes a multi-disciplinary approach to exploring a range of theories about the astronomical alignment of standing stones and megalithic structures. Some of these theories were highlighted recently at the 2014 National Astronomy Meeting in Portsmouth. Archaeoastronomy expert Dr Fabio Silva of University College London has been studying 6000-year-old winter occupation sites and megalithic structures in the Mondego valley in central Portugal. He said recent research shows that all the entrance corridors of passage graves in a necropolis in the valley aligned “with the seasonal rising over nearby mountains of the star Aldebaran, the brightest star of Taurus”. Dr Silva believes this link between the appearance of the star in springtime and the mountains where the dolmen builders would have spent their summers “has echoes in local folklore” which recounts how the Serra da Estrela or ‘Mountain Range of the Star’ received its name from a shepherd and his dog following a star. 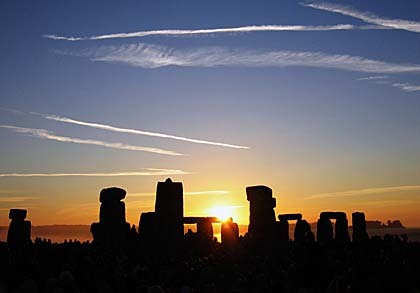 Some of the most debated claims about archeological alignment continue to be those relating to Stonehenge, which remains subject to a range of theories about solar and lunar alignments. Some archaeoastronomers are however keen to move the debate beyond the famous standing stones of Salisbury Plain. Dr Daniel Brown of Nottingham Trent University, who presented updates on his work on the 4000-year-old Gardom’s Edge in the UK’s Peak District, which he believes to be astronomically aligned, said: “there’s more to archaeoastronomy than Stonehenge. “It has stepped away from its speculative beginnings and placed itself solidly onto the foundation of statistical methods,” he added.